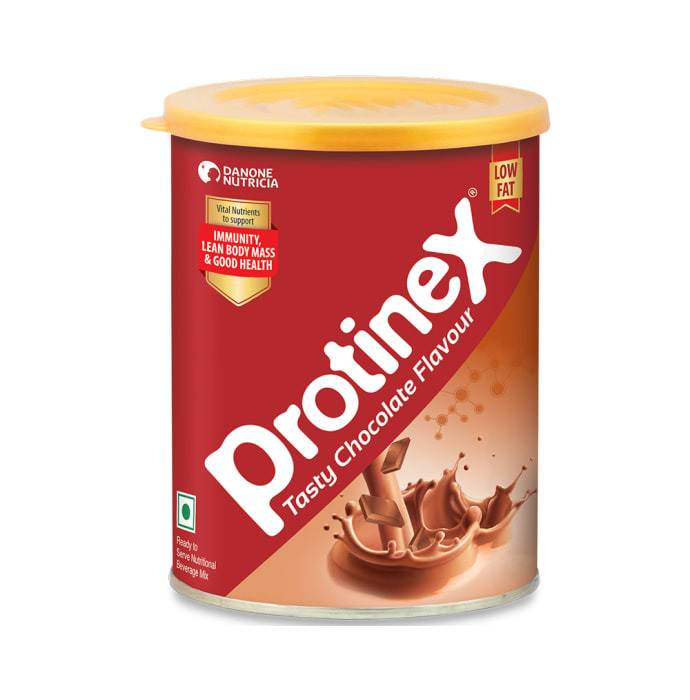 Protinex powder contains hydrolysed peanut Protein. This protein helps with digestion as well as prevents the deterioration of muscles and tissues and helps in boosting immunity. Protinex powder is the ideal nutritional supplement to help fill up the protein gap in your daily diet. There are no side effects when using Protinex, but it is not recommended for users with a peanut allergy. Protinex powder can be consumed by anyone over the age of 2. It is ideal for growing children and adults as well. You can mix/take Protinex powder with a glass of milk or water. Drink one or two glasses a day for maximum effect.